What was once known as the old Sebastian Student Health Center, now operates as a student food and toiletry pantry dedicated to serving the N.C. A&T campus community. The Aggie Source is located at 205 Nocho St. and will officially open for students on Feb. 5, 2019. The hours of operation will be Tuesdays and Thursdays from 2:00 p.m. – 6:00 p.m.
“Despite the perception that you may have, many of these students suffer privately from hunger and food insecurity. The harsh reality of this dilemma is that hundreds of thousands of college students across the country face this issue,” said Brandon Jones, junior music education student. After recognizing the food desert surrounding the campus, a joint effort between the Division of Student Affairs, the Division of Business and Finance and the Vandergrift Administration developed The Aggie Source for the use of students in need. “It is our duty to address the need and find a way to support their [students] academic and physical well-being. 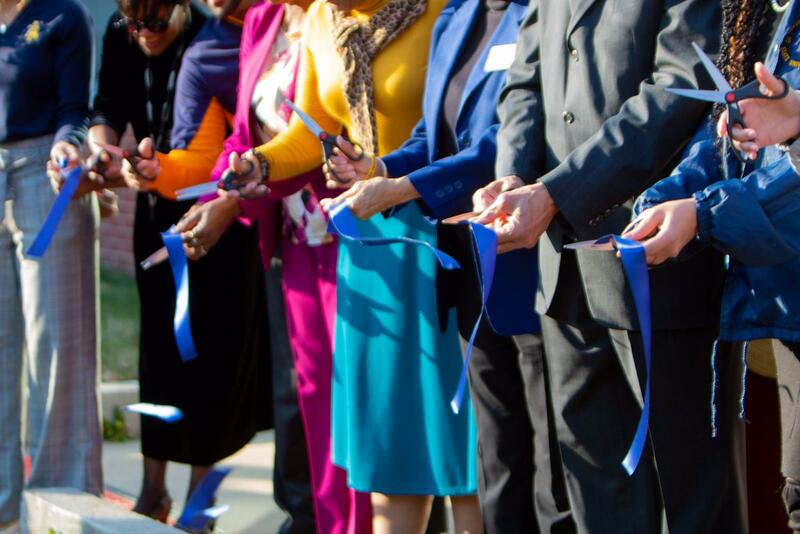 The Division of Student Affairs is dedicated to the holistic success of more than 12,000 plus students,” said Dr. Melody Pierce, Vice Chancellor of Student Affairs. The pantry’s shelves hold a variety of food items, such as canned vegetables, fruits, soups, bread, cereal, rice, pasta, and bottled water. 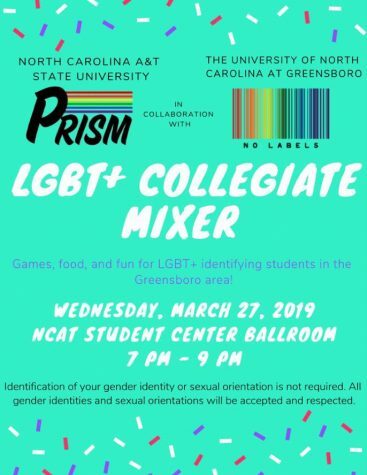 The work of SGA treasurer Jamie Womack in collaboration with president Delaney Vandergrift aided in obtaining two grants offered by the Association of Student Governments. The grants will enable the availability of items such as toilet paper, toothbrushes, soap, and feminine products in The Aggie Source. Through OrgSync, students will be able to fill out an online application and after 48 hours, students will able to go to the food pantry and choose desired items. To maintain sustainability, The Aggie Source will accept donations from students and the Greensboro community, as well as develop partnerships with other food banks and corporate organizations. 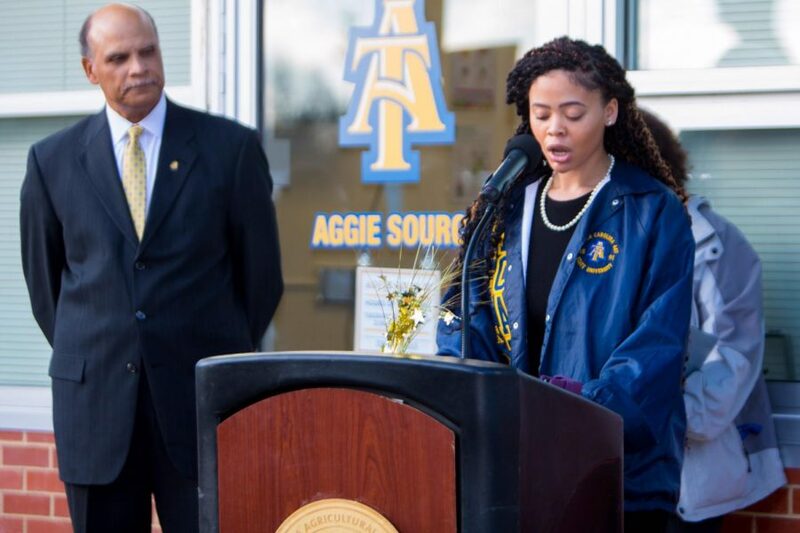 “I hope that one day The Aggie Source will not only serve as a food and toiletry pantry for students but will serve as a community space and resource for all of East Greensboro,” said Vandergrift.